Spokane Teachers Credit Union (STCU) announces plans for a new branch in Airway Heights, to open in 2017, and a new branch in Latah Valley opens today. Construction of the STCU Airway Heights Branch will start this autumn at Hayford Crossing, at Hayford Road and U.S. Highway 2. West Partners LLC is the developer for the commercial development, which also includes Grocery Outlet, Dollar Tree and other retailers. Similar in size to others built in recent years, the STCU Airway Heights Branch will be 3,800 square feet with a drive-through. The STCU Qualchan Branch opens today. 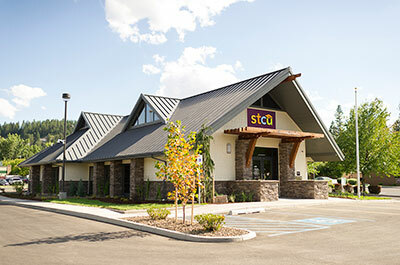 Longtime STCU employee Kate Bacon will manage the new branch, at 4233 S. Cheney-Spokane Road. An extensive remodeling project doubled the size of the former AmericanWest Bank building, and added four drive-through lanes. The STCU Downtown Coeur d'Alene Branch will open in late 2016. Remodeling is underway to transform a former bank at 401 Front Ave., Suite 100. The STCU Downtown Branch will move in October to a new location under construction on the street and skywalk levels of River Park Square, facing Wall Street. The Rocket Bakery will share space with STCU. When those projects are completed, STCU will have 21 branch locations, including five in North Idaho. Branch visits are increasing, even as members conduct more and more transactions via online banking and the STCU mobile app. STCU membership has grown from 100,000 in 2011 to 156,000 today. The credit union has steadily increased its workforce to keep pace with growth while maintaining outstanding personal service. When its current openings are filled, STCU will have 600 employees, up from 500 in 2012. Because STCU is part of the Shared Branching Network, each new branch location also benefits members of other credit unions. (Locally, the network also includes Numerica, Global, Spokane Media Federal Credit Union, and others.) Those members can access their accounts and conduct basic transactions without paying fees at STCU branch locations and ATMs. Desautel Hege (DH) has expanded in 2016, its 20th year of business, hiring five new employees. In 2013, the firm created an in-house creative services department starting with Senior Art Director Judy Heggem-Davis. The department now holds six designers and is a major part of the firm's growth in the last three years. In 2015, this team helped refresh the firm's brand from 'Desautel Hege Communications' to 'DH' to reflect the variance in the firms work, including public relations, advertising, branding, research and digital. Lisa has worked with a wide array of clients in her 13 years at DH, and specializes in managing large-scale government and health care accounts. She has led major research projects to support internal and external communications campaigns and now brings leadership to the firm by leading professional development for other DH team members. Beth brings 20 years of experience in agency corporate brand management work. She brings deep expertise in national media relations, including leading earned media campaigns for Nike. Nico is a strong digital strategist who previously worked for a national digital agency. He has led production of several websites along with integrated brand launch campaigns. As the firm's newest Art Director, Sean has years of experience bringing brands to life through video and digital storytelling. He now develops creative and brand strategy for many DH clients. Kaelynn is a recent graduate of Eastern Washington University and previously interned for DH. She supports on design for many of DH's clients, excelling at both web and print applications. Shireen, a graduate of Gonzaga University, interned at DH prior to joining. She supports DH operations, leads employee relations efforts and also supports account work. DH serves clients in the northwest and beyond across industries like health care, entertainment, energy, higher education, transportation and government. The 3rd annual HUB Sports Center All-Star Breakfast fundraiser is Thursday, September 29 at the Mirabeau Park Hotel. Doors open at 7am, program begins at 7:30 and concludes by 9am. The program will provide an update on the HUB Sports Center activities and how they are partnering with the greater Spokane/Coeur d'Alene community. They will also share their vision for the future and the opportunities to expand current programming. Proceeds from the breakfast will go to the HUB Sports Center, a 501c3 nonprofit. Funds will be directed by the donor toward programs like HUB 360 (an afterschool program for at-risk middle school students), HUB Camp Scholarships for disadvantaged youth and/or the HUB Capital Campaign to secure this facility to benefit future generations. RSVP by September 12 to Cassi at cassi@hubsportscenter.org. For more information about the HUB Sports Center visit the website at hubsportscenter.org. After a lengthy nation-wide search, the Spokane Civic Theatre Board announces Lenny Bart as the incoming Artistic Director of The Civic. Bart was the Executive Director for Arts Quincy/Quincy Society of Fine Arts in Quincy, Illinois, where he completely revamped the organization. 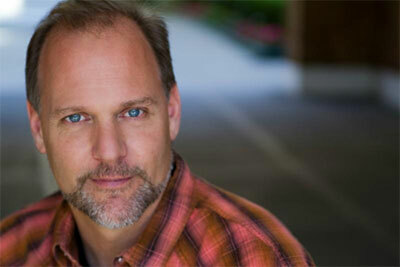 Prior to that, he was the Managing Artistic Director for Quincy Community Theatre for three seasons. While there, he served on The Rotary Club Board, multiple citywide committees, and served on the Illinois Arts Council Partners in Excellence grant review panel. Bart also served as Artistic Director for Pushcart Players, a professional nationally touring children's theatre company, where he was also a company member for eleven seasons as an actor and director. Concurrently, he was the Artistic Director for 12 Miles West Theatre Company, a small professional theatre in Montclair, New Jersey. He has been very active in New Jersey theater, including acting and directing for The Shakespeare Theatre of New Jersey (three seasons), New Jersey Repertory Company, and Playwrights Theatre of New Jersey. In New York, Bart served as the Producing Director for The National Shakespeare Company (he toured one season, company managed/technical directed another), and was the founding Artistic Director of Dauntless Productions where he directed and designed three world premieres. Bart has served on the Board of Trustees for The New Jersey Theatre Alliance, taught theater classes at County College of Morris, and designed and taught the theatre curriculum for the School District of the Chathams. He is a graduate of The National Shakespeare Conservatory in New York City. He will make his directing debut at the Civic this season with Sondheim's A Little Night Music. Lawton Printing Services is growing its sales team to accommodate additional client growth and has recently hired Pam Stewart as an account executive. Pam has a successful background as an entrepreneur and small business owner. Her success is a direct result of her ability to cultivate and retain long-erm client relationships and her business experience. Just a Couple of Moms Catering is announcing a name change to Nectar Catering and Events. Just a Couple of Moms Catering has been providing quality and award-winning food service and delivery since 2009. In 2013 the business owners Tom and Kathleen White moved their kitchen operation from their home to the basement of the 1889 building and established a strong partnership with Josh Wade's Nectar Tasting Room. In 2015, Tom and Kathleen moved and Wade bought the business and continued with the same staff and operation. "Over the last 18 months I have seen the need to rebrand from 'The Moms' to something that speaks more to my brand and business direction," says Josh. "This change aligns with where we are headed as a business and positions us as a regional leader in the catering space". Over the next few months Nectar Catering and Events will be launching a new web and mobile presence and will continue to streamline operations moving toward a full re-launch in 2017. Spokane Conservation District (SCD) was recently awarded $47,000 to build technical assistance capacity for urban agriculture conservation projects, by the National Association of Conservation Districts. NACD granted a total of $2 million to SCD and 41 other districts across 25 states. SCD submitted a proposal earlier this summer to NACD's Urban Agriculture Conservation Grant Initiative. The initiative, in partnership with the USDA's Natural Resources Conservation Service, aims to increase and stabilize technical assistance capacity where the land is predominantly urban or urbanizing. The 2016 urban grants will allow districts to help urban farmers, community gardens, and other local agricultural partnerships implement conservation practices that support local food production, provide opportunities for education and stewardship, and protect natural resources. SCD will use its $47,000 grant to provide education and technical assistance through a series of tours, community conversations, workshops, one-on-one consultations, networking events and a demonstration project. Residents will learn how to sustainably develop and manage their urban market gardens, urban livestock, and community and home gardens using conservation practices scaled for use in the urban environment. Most of these efforts will be held in some of Spokane's low income and food desert neighborhoods to improve residents' ability to grow their own fresh, healthy food. Additionally, funding will be used to support the newly formed Learning Farm, part of the Vets on the Farm program, to help transition Veterans into careers in agriculture. As urban agriculture in Spokane grows, it is important to maintain a culture of soil and water conservation because even small actions on an urban lot can improve environment quality. SCD, WSU Spokane County Extension and Project Hope are partners in the grant. Scanned Media offers a selection of Mobile Marketing Solutions that can change the way you and your business interacts with the world. They specifically create personalized and trackable Apple and Android Apps, Mobile Web Apps/Responsive design websites and printed materials that fit the needs of your customers. Carefully crafting your mobile presence, Scanned Media includes any valuable content as well as provide the necessary contact information for your customers to access your business, and select the social media networks where users can easily interact with you and your business services most efficiently. Established in 2011, Scanned Media's products are an effective and simple way to tie all your marketing efforts in one spot. For more information, visit scannedmedia.com. Painting with a Twist paint studio is having an open house this Thursday, August 4 in their new studio, located in The Redwood Plaza at 11703 E Sprague Ave, Suite B in Spokane Valley. 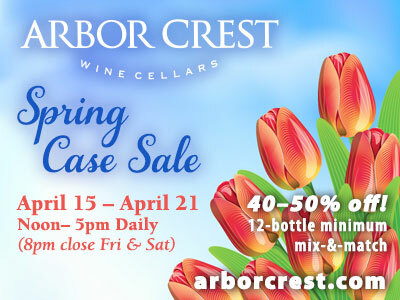 Painting with a Twist is part of the original paint-and-sip franchise and is the first to open in Washington state. 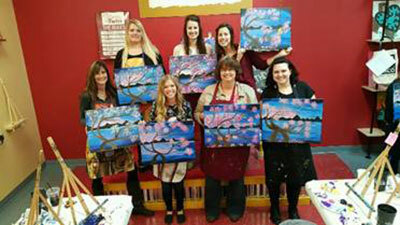 A Painting with a Twist class includes paint and the option to purchase alcoholic and non-alcoholic beverages at the studio's bar. Led by local art instructors, guests paint on bare 16 by 20 inch canvases using paint and brushes provided by the studio. The artwork ranges from landscapes, abstracts and cityscapes, to creative renderings of animals, iconic buildings and florals. The Open house begins at 5:30 and painting takes place at 7pm. Painting is complimentary for the first 48 people who sign up online with code: 1111. The website is www.paintingwithatwist.com/spokane-valley and the phone number is 509-413-9892. One of Catalyst magazine's most popular issues is the Top 20 Under 40. 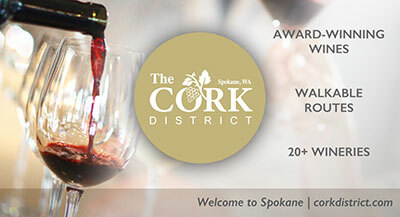 This is a celebration of young professionals in the Spokane region that are making a name for themselves professionally and in the community. Each winner will be highlighted in the Fall issue of Catalyst magazine and their achievement will be celebrated at the 20 Under 40 Event on September 22, at Chateau Rive at the Flour Mill in downtown Spokane. Adrian Folsom - Ptera Inc.
Sarah Wollnick - etailz, Inc.
Weiss Financial Consulting offers monthly interactive workshops and seminars that focus on teaching how cognitive development influences our financial development. For example: What is your earliest memory surrounding money? How was money modeled in your life? The answers to these questions can have an impact on how we view and handle our money, and learning the answers to these questions, and others like them are a part of Dycelia's Weiss's monthly workshops, called Finance 101 'Are you in a relationship with your money?' The workshops are an opportunity to discover and understand your financial fingerprint and learn what financial impression has been left on you. It's a first step towards economic empowerment and wealth building. This month's workshop is Monday, August 8, 6:30-7:30 at Emmanuel Family Life Center, 621 S Richard Allen Court. For more information contact Weiss Financial Consulting at 509-327-0165 or email dycelia@weissfinancialconsulting.com.